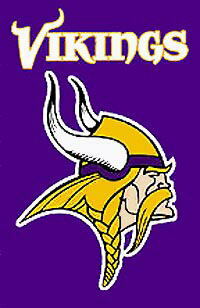 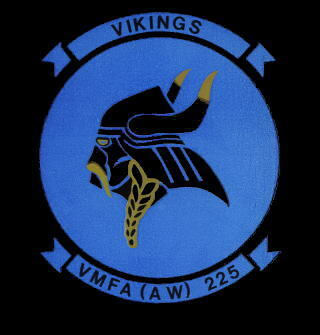 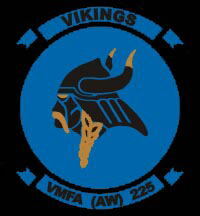 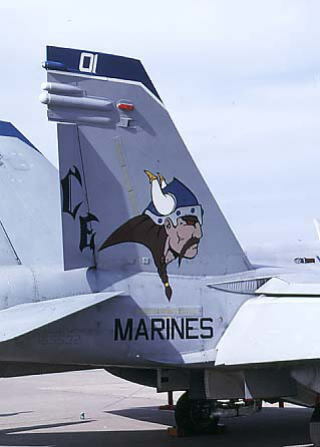 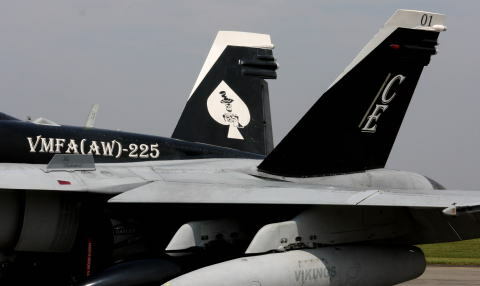 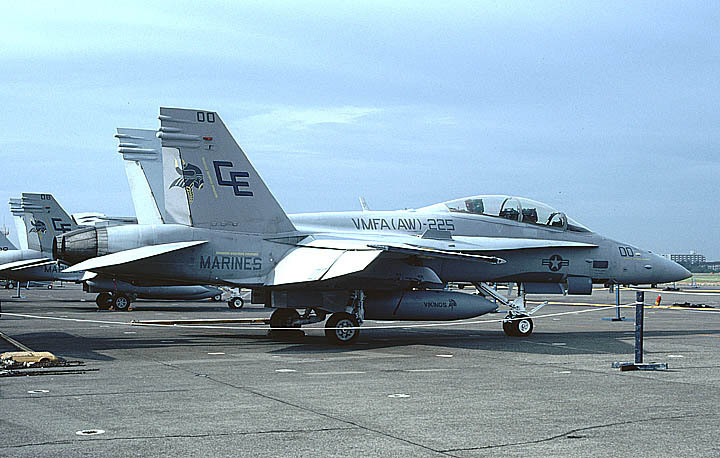 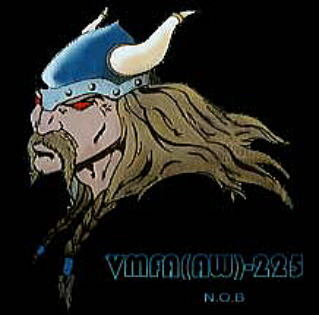 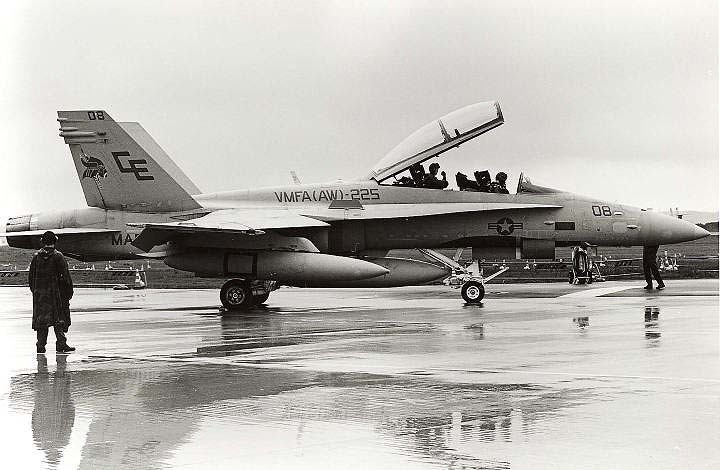 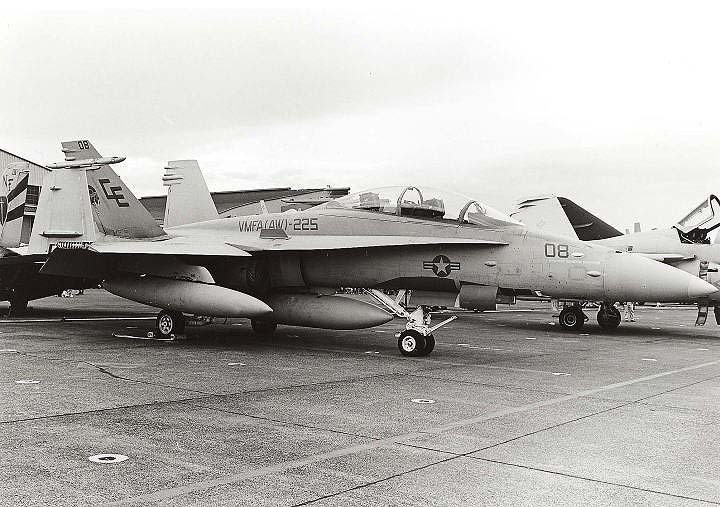 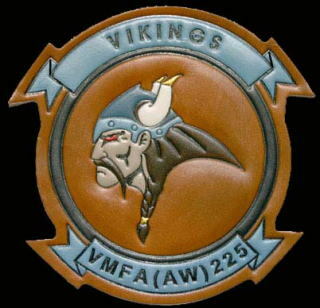 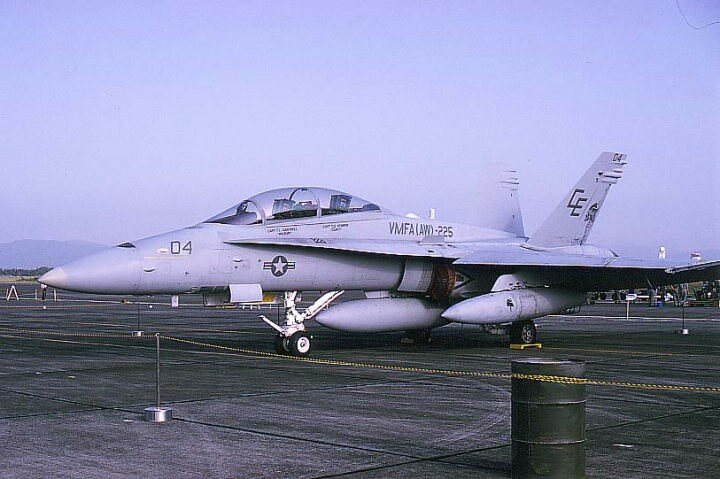 During the squadron's 29 years of service to the Corps, the "Vikings" set many firsts in Marine Corps Aviation. 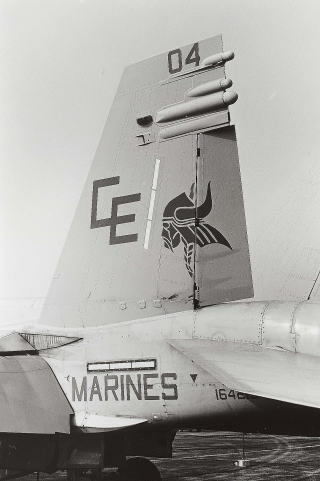 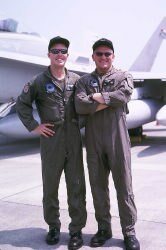 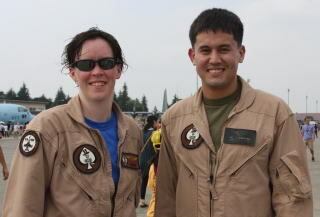 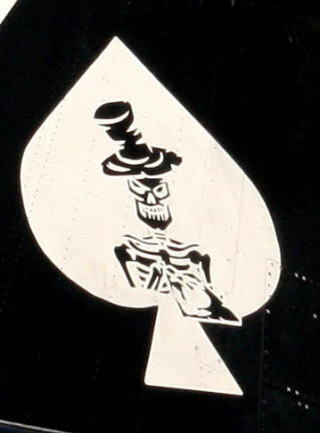 The unit earned numerous Command Post Exercise awards and other distinctions such as being the first Marine Attack Squadron to fly Trans-Atlantic to Spain. 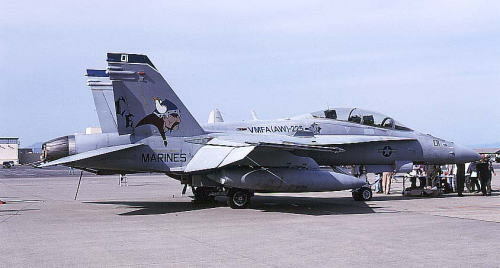 左は、フットボールチーム　ミネソタ　バイキングスのチームフラッグ　飛行隊のバイキングのデザインとほぼ同一であり　想像であるが　飛行隊内にミネソタ出身のフットボールファンがおり　デザインを丸まる借用している可能性が高い。 ..